The January transfer window is now closed but we can still look at deals that failed to get across the line and those being lined-up for the summer. Today, Antoine Griezmann speaks out on his future…. Antoine Griezmann has cast doubt over a potential £85m move to Manchester United after revealing that he has doubts about living in England, according to Sky Sports News. Griezmann has been strongly linked with a move to the Premier League in recent transfer windows after developing in to one of the best strikers in the world since joining Atletico Madrid in the summer of 2014. The 25-year-old has scored 72 goals and provided a further 20 assists in his 136 appearances for Madrid and understandably that form has caught the attention of several clubs, not only in England, but throughout Europe. The Telegraph reported earlier this month that Manchester United were close to agreeing personal terms with Griezmann after putting a lucrative offer worth £15m-per-season on the table. Atletico are no doubt desperate to keep hold of the French international but the newspaper suggested that United were prepared to meet his £85m buyout fee, so there would be little the Spaniard’s could do if Griezmann decided he wanted to leave. However, it seems talks of a move away from the Vicente Calderon may be a little premature as the attacker has now revealed that he doesn’t have any immediate desire to leave Atletico. Griezmann admits that his feelings could change if the season ends badly but even if he does want to leave Atletico, the attacker suggests his options are limited as he doesn’t want to play in Germany or France while a move to Real Madrid or Barcelona is off the table. The former Real Sociedad star went on to cast doubt over any possible switch to United by saying he has doubts over how happy he’d be in England due to factors such as the media and weather. “I am asking myself where I could go. In Spain, there is Barcelona and Real Madrid. Barcelona have the three [Neymar, Lionel Messi and Luis Suarez] up top. Real Madrid, that is impossible because of the club I am at. I think that between them, there is a pact [not to conduct transfers between the clubs]. 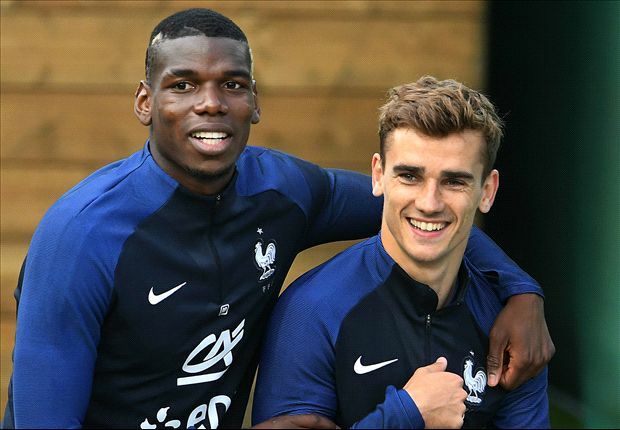 The good news for United is that Griezmann has pretty-much closed the door on joining the likes of Madrid, Barca, Bayern Munich and Paris Saint-Germain – who would all have been touted as serious competition if the player was on the market. Therefore, a move to the Premier League could be a real possibility should be decide to seek a new challenge, but only if he’s prepared to put up with the media and bad weather. There’s not much United can do to change the weather in Manchester so we’ll just have to wait and see what Griezmann decides to do in the summer but no doubt he’d be a sensational signing if the Red Devils were able to pull it off. Jose Mourinho is confident that Zlatan Ibrahimovic will stay another year at Old Trafford but the Swedish superstar can’t go on forever so United need to find a long-term replacement and Griezmann would be ideal.